Australian Thunderstorm Or GMO Asthma? I read to my lawyer the Thunderstorm Asthma story, out of Melbourne Australia. When told that there were several millions hectares of pasture and agriculture just where the thunderstorm came from, my lawyer sneered: “this is a bogus story. They are hiding the fact it is all about GMOs, insecticides and herbicides. I was stunned by my lawyer’s perspicacity. SYDNEY, Australia — When David McGann left his office in Melbourne just after 5 p.m. to cycle home, a stifling heat had settled across the city, and the temperature was peaking at 95 degrees. [When] Mr. McGann’s partner… returned, he was on the couch, sitting quietly, struggling for breath. The inhaler he found after rummaging through drawers was five years past its expiration date. Mr. McGann was one of thousands of people in Melbourne having an attack of thunderstorm asthma. They flooded the city’s emergency rooms, swamped ambulance call lines and joined lines around pharmacies during six hours on Nov. 21. All were struggling for breath. About 8,500 people went to hospitals. Eight have died, and one remains in intensive care more than a week after a thunderstorm surged across Melbourne, carrying pollen that strong winds and rain broke into tiny fragments. These Fields Are Poisoned With Herbicides and Pesticides At Such A Level, That Plants Have to Be Genetically Modified To Survive The Added Poisons. Question: Have These Children Been Genetically Modified By The Gates Of Hell, So That They Can Survive, Too? Emergency services were surprised by the number of so-called silent patients. “They appear O.K., but their airways are so obstructed that they are concentrating, really focusing, on staying upright and just breathing,” Dr. Baker said. Surprise, indeed, this did not happen before, by two orders of magnitude. How come so much more severity? My lawyer’s theory is different. It evolved from my own observations and theories of why asthma and allergies, let alone weird cancers, have been augmenting spectacularly. There are around 150,000 artificial, man-made chemical products in use. By medical drug standards, they are untested (in earlier essays, I mentioned 80,000, which is the number brandished in the USA; however, French specialists talk about 150,000 untested chemicals.). Canola (or rapeseed), Brassica napus, is an oilseed crop which is cultivated for its high quality edible oil used in many foods (eg. margarines and cooking oil) and seed meal (the fibrous material left after the oil pressing process), which has a high protein content. That makes it highly desirable as a stock feed. 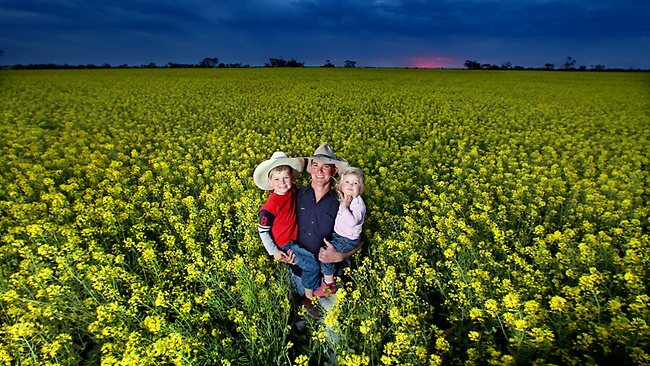 In 2010-11, the Australian state of Victoria, where Melbourne is located, produced 476 thousand tonnes of canola with a gross value of $293 million. 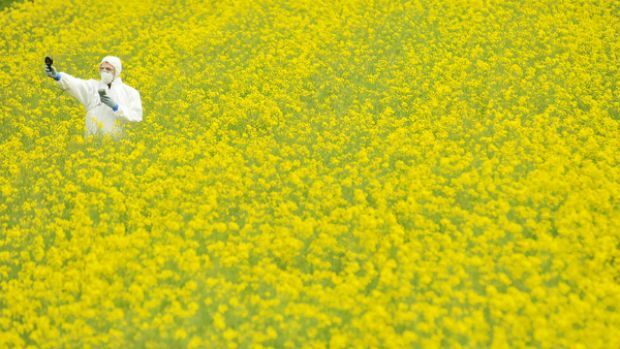 Two genetically modified (GM) canola varieties have been developed in Australia, Roundup Ready® (by Monsanto Australia Ltd) and InVigor® (by Bayer CropSciences Pty Ltd). For maximum effect, each GM variety has been developed to be tolerant to and hence used with, a specific herbicide. The result is the mass poisoning of the planet, horizon to horizon. Our Workers Are Protected With Hazard Suits. Your Children Can Get Asthma, Cancer, Attention Deficit Disorder, We Will Sell You Drugs, To Alleviate Their Pain, With Obamacare, Or Its Ilk. The same poisoning trick is used for insecticides. To boot, the poison resistance spreads, demanding even higher doses of poison to be used in the grand outdoors.. In other words, massive quantities of poisons are put in the soil, and from there, are kicked up, in the air. Exposed to this life destroying poisons, the body reacts by shutting down all pores. Asthma. Some will say that we have no proof of what we advance. True. But what is a proof? Logicians themselves are not too sure (Kurt Gödel famous showed that there are always unproven truths, in any theory which allows one to count with integers). What we have here is the beginning of a proof: mass asthma in the State of Victoria started coincidentally with mass poisoning of the State of Victoria. Thunderstorms did not start yesterday, nor did ryegrass. Two new factors surging simultaneously: if one has more intelligence than journalists in Main Stream Media, one will suspect that they are correlated, and maybe, even causally related. The burden rests on the side of those who dismiss the plausible causation. Especially considering what is at stake. But Obama just gave the Gates the “Medal of Freedom”. The Gates have been immense promoters of GMOs and Monsanto (from which they got employees, and in which they are invested, so they can become ever richer). Through their “Foundation”, which ostensibly cares about health (health or death, that is the question). Some countries have started to outlaw Monsanto. Their leaders were not paid enough, and, or, they speak French (as in Burkina Faso).